Is simplicity your everyday cup of tea? Snehal Creation is hosting a tea party with this exquisite designer tunic in black. The mesmerising short kurta has been stitched in fine quality georgette and offers superior ease of wearing. 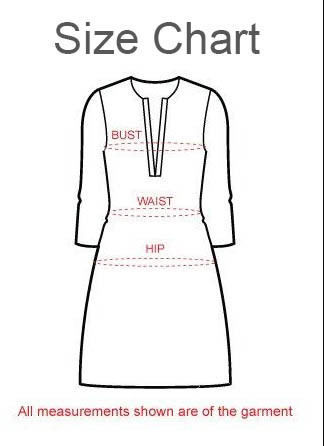 The simple V-neck is accompanied by a neck panel that is outlined with breath taking embroidery patterns in magenta and white and red. The same embroidery motifs find themselves on the edges of the long sleeves. This tunic piece is a wardrobe essential for every style-icon therein. Do not miss this one.